Mr. Heck is a German design director with a high-profile agency background in TV, mobile, and sanitary design. From 1999 he worked for Germany‘s top agency Phoenix Design before in 2005 he became director at one of the world‘s leading American design and innovation consultancies, Ziba Design, in Munich. He started a close partnership with Samsung Electronics in 2007 and since then has been cooperating as a Master Designer for consumer electronics. Between 2008 and 2011, Mr. Heck collaborated on various design projects and deepened his understanding of the corporate culture and design process at Samsung Electronics. His achievements include notebooks and netbooks, which have been produced in the market and also awarded by international design awards such as iF, IDEA, and G-Mark. Mr. Heck is responsible for the design of the million seller strikes NC10 and N150 from 2009/2010 that influenced a whole division with the chrome frame design. In 2012, in recognition of a broad cross knowledge, Mr. Heck was assigned to create a showcase on Samsung’s design slogan, ‘Make it Meaningful!’. From 2013 he has worked on creating design identity for Kitchen Appliances on a system level and to apply the staging aspect of design within human experience. 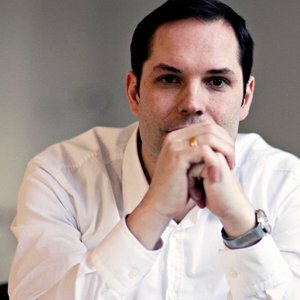 As a logical step Mr. Heck joined Samsung on April 1, 2014, as Head of Office at Samsung Design Europe in central London with comprised studios in Milano and Paris, from where he oversees the European design activities of Samsung. Mr. Heck holds a Diploma in Industrial Design from Pforzheim University – School of Design (Germany). From 2007 until 2014 he consults Samsung as independent Master Design Studio.